in 2015, we raised 4 different breeds of dual purpose chickens. Below is a little about each breed. Freedom Ranger: A very active breed that thrives in a free range environment. Suitable for foraging and pasture, Freedom Rangers produce tender, succulent meat with more Omega 3 fat and less saturated fat than common breeds. Hens will lay eggs at approximately 16-20 weeks (August, 2015). For use as meat birds, Freedom Rangers should be processed at 5-6 lbs and 9-11 weeks of age (second week of July, 2015). 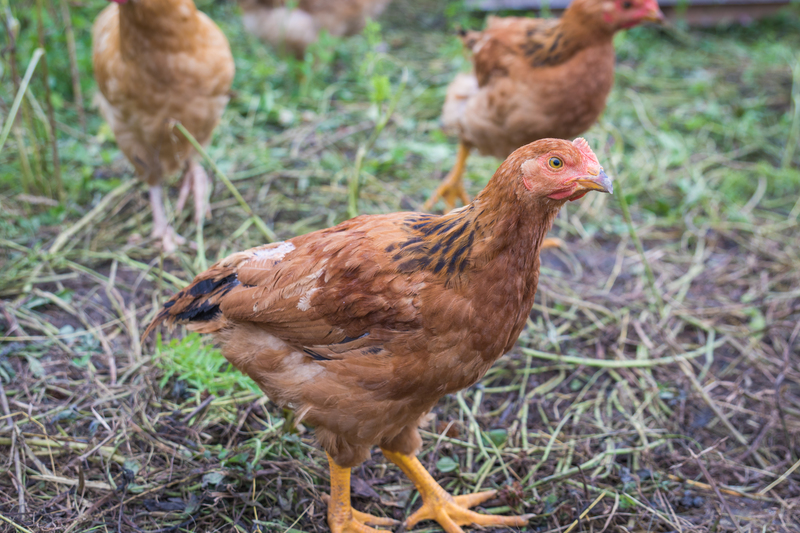 Red Cross: Our Red Cross chickens are Rhode Island Reds crossed with Columbian Rocks. They are a hardy breed that thrives in a free range environment. Good for pasture and foraging these are a relatively calm chicken. For use as meat birds, Red Cross birds should be processed anywhere from 18-20 weeks (less if you like your meat more tender, albeit smaller). 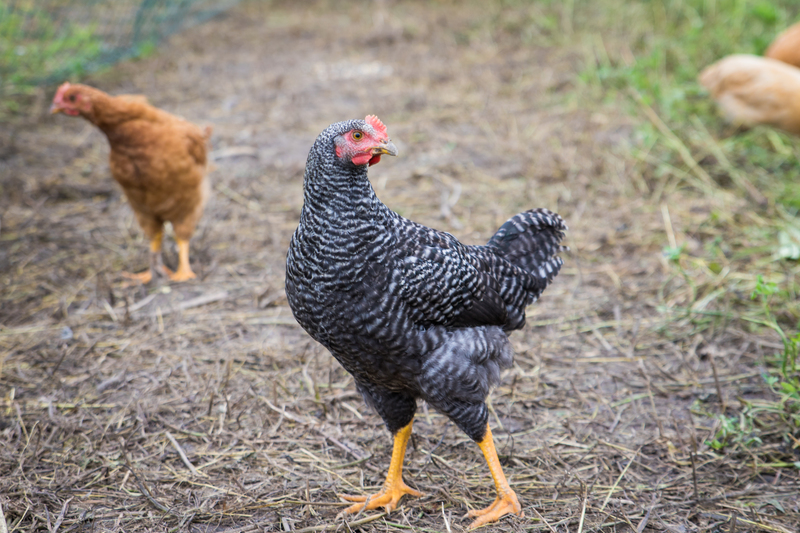 Most hens are very good egg producers with a POL (point of lay – this is when they begin laying eggs) at around 25-30 weeks (September, 2015). 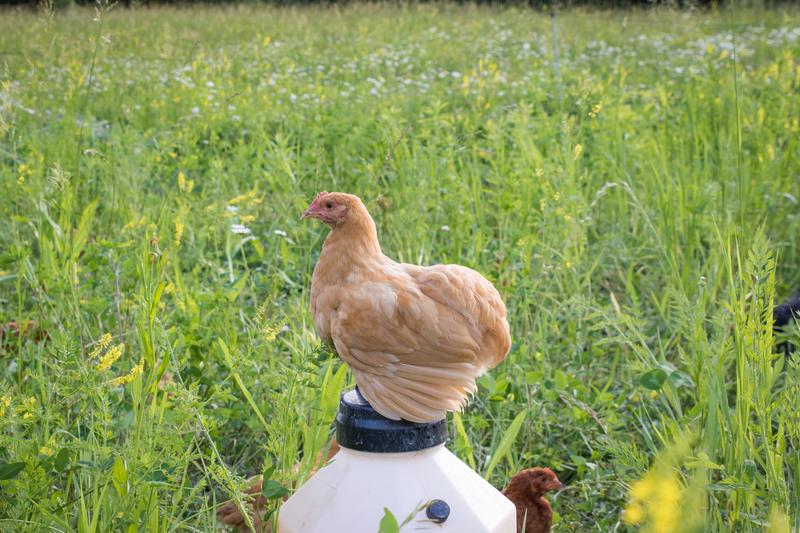 Buff Orpington: Docile and friendly breed with quiet disposition and nice personality. 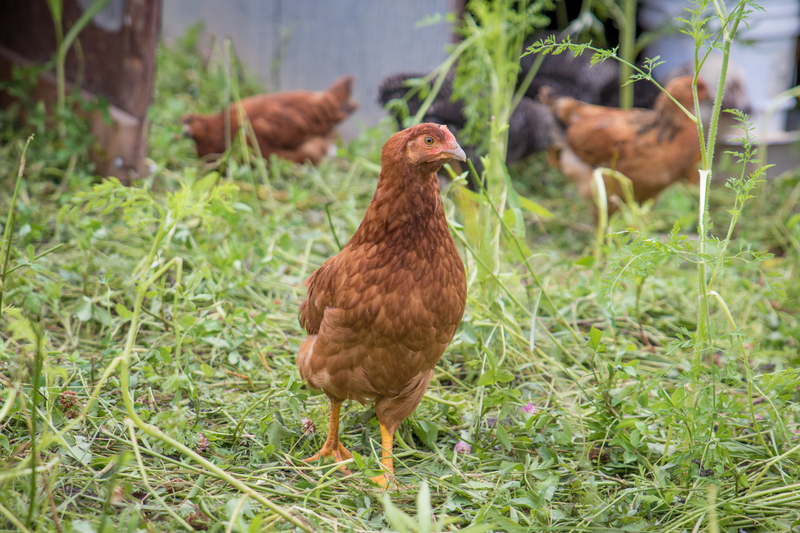 These chickens are definitely foragers – we call them “escape artists” so they would definitely thrive best in a free range environment. Buff Orpintons are known for their plump and juicy white skinned meat. As meat birds, they should be processed at around 18-22 weeks (August, 2015). As egg layers, the hens are very good year round producers with a POL (point of lay) at approximately 20-25 weeks (September, 2015). Next How do I know if it’s REALLY organic?